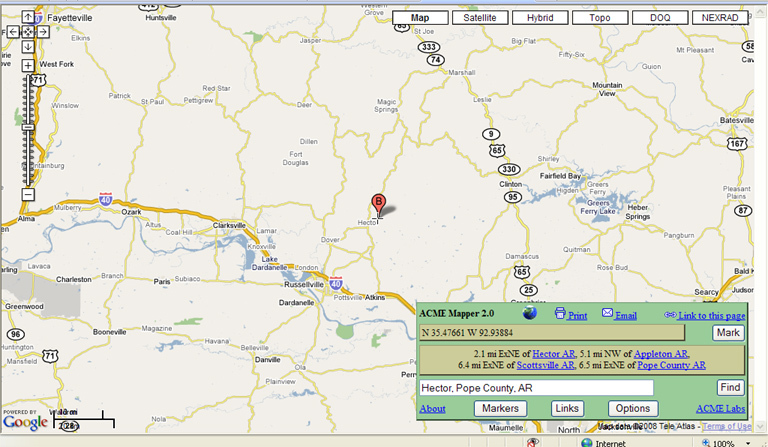 Acme Mapper is a handy little tool. 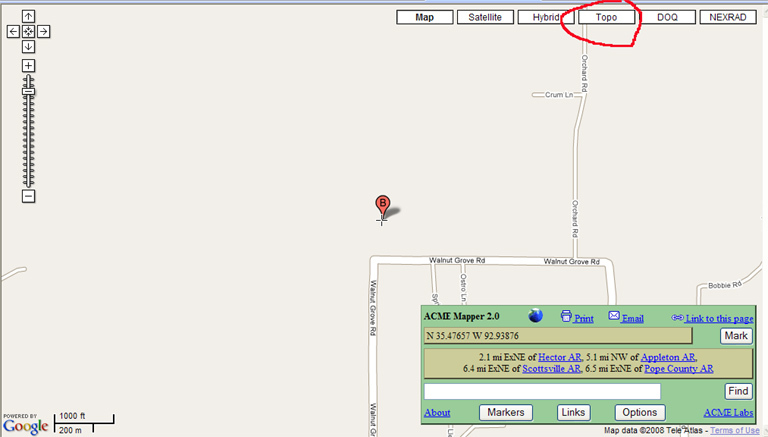 Here I show you the default map of the Hector, Pope County area. Ok... now, the USGS topo maps show most of the cemeteries, not all, but a good deal of them. As you can see here, Walnut Groves show up (I cropped these photos for better fit). 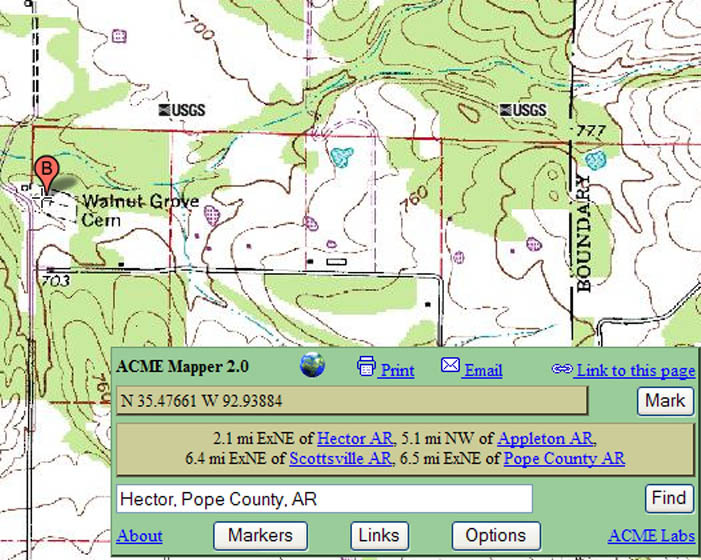 I use Acme Mapper to help locate cemeteries. 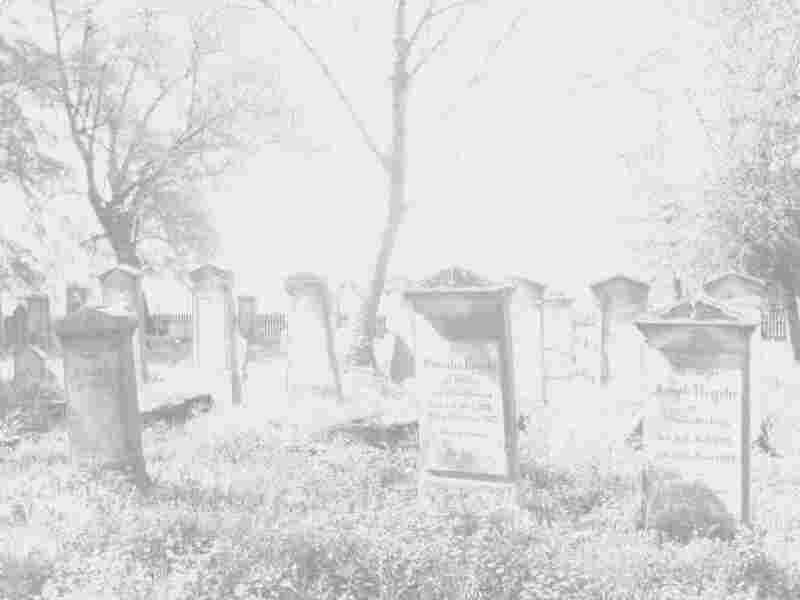 I also utilize the Arkansas County USGenweb and/or rootsweb pages to help identify and locate cemeteries, such as this one for Pope County: http://www.rootsweb.ancestry.com/~arcemete/pope/pope.htm.